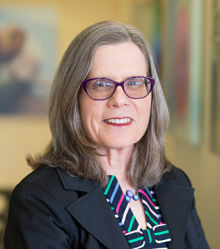 Jane Grassley, professor and Joanna “Jody” DeMeyer Endowed Chair for the School of Nursing, has been selected as the 2019 recipient of the Anna M. Shannon Mentorship Award presented by the Western Institute of Nursing (WIN) for her mentorship to students, researchers, and colleagues. WIN is the western regional nursing organization that succeeded the Western Council on Higher Education for Nursing. The organization exists to bring together a diverse community of nurses in a shared commitment to transcend the boundaries of knowledge development and application to advance the discipline and drive improvements in nursing practice and outcomes. The Anna M. Shannon Mentorship Award was established in 1992 after Anna Shannon, who was then dean and professor emeritus of the Montana State University College of Nursing, for her unselfish efforts to support and promote the professional growth of other nurses in the West. The award recognizes individuals who serve as a role model for leadership and professionalism, are actively involved in supporting professional development of nurses and nursing students, place a greater emphasis on advancement of the nursing profession, and communicate a vision of nursing to inspire others. Grassley was seen as an outstanding candidate due to her mentorship efforts not only for students but also nurses in the local community. Her scholarly work additionally demonstrates her efforts to support professional nursing development as she has been key in introducing new breastfeeding practices from local to global levels as well as initiate national collaborations to further her research with these practices. “It is a pleasure to honor Dr. Grassley in this important way and to celebrate her many and highly significant contributions to the profession and her mentorship to so many nurses in the Western region and beyond,” said Paula McNeil, executive director for WIN. Grassley will receive this award at the 52nd Annual Communicating Nursing Research Conference, April 11 in San Diego, California. Learn more about WIN and the Anna M. Shannon Mentorship Award.